They usually come in sets of three tables that can be stacked when not in use. They can be made of wood, metal, acrylic or glass and they really complement your living space! 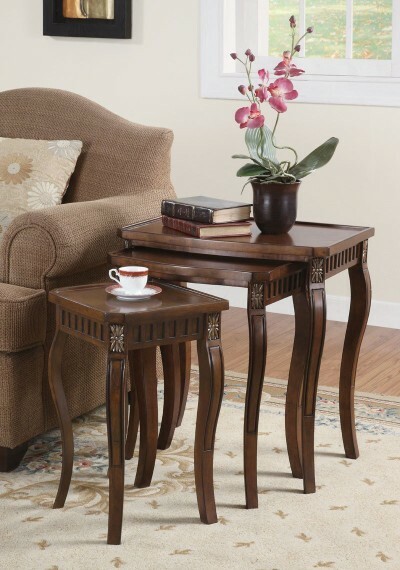 *Look how gorgeous and very elegant this cute 3-piece warm brown wooden nesting table set with curved leg design is! As you can see they are being used right by a beautiful armchair and to serve tea! The bigger table is being used to place a few books and a cute flower vase. The possibilities are endless with these! 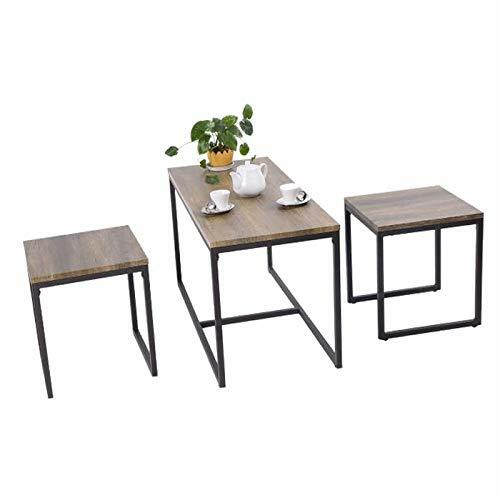 Nesting tables are also great for small living-rooms, as they occupy very little space and provide great ‘extra table’ serving area! They also make beautiful housewarming gift ideas! 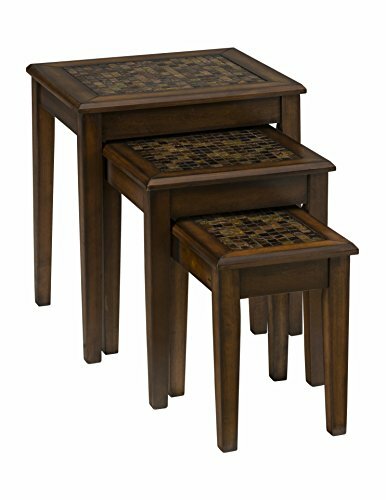 This is a beautiful and very practical 3-piece wood nesting table set in a gorgeous cappuccino finish! It has a very cool ‘crossed design’ on each table and they will match any walnut, espresso or dark chocolate piece of furniture in the living-room! Another gorgeous 3-piece nested side table set in a beautiful oak finish! Will match any ‘earth tone’ furniture pieces, medium brown or beige! 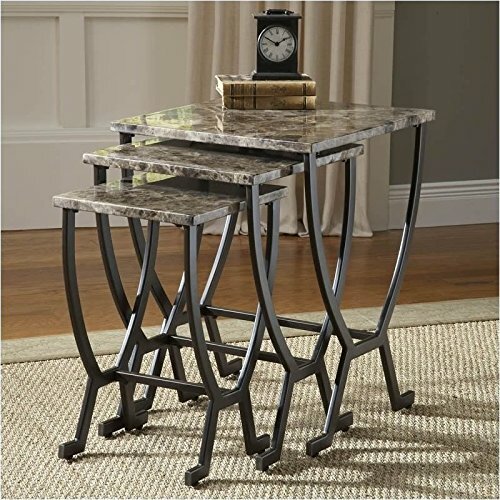 What a stunning looking set of modern nesting end tables made of iron and wood! Look at that gorgeous design! If you have a cool living-room in white, gray or black, these are perfect! The best feature is the price! You won’t believe how affordable they are! Another cute and very stylish set of metal nesting tables for sale. I really like the beautiful faux marble tops! Very easy to assemble as well and will match any black, gray or light beige furniture. The legs are made of steel and they are very easy to assemble. 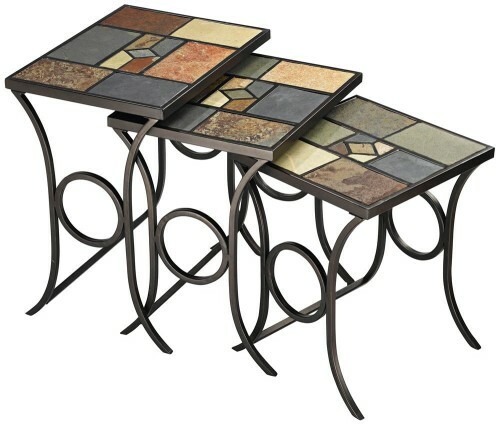 How cool and amazing are these mosaic tile inlay tops Baroque brown finish nesting side tables for sale? Look at how beautiful they look next to each other! I love their gorgeous color! 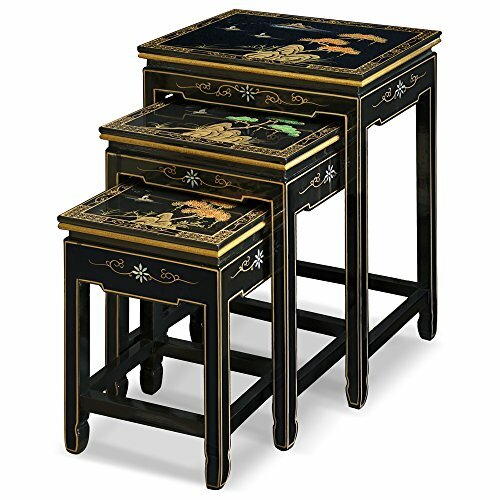 How absolutely gorgeous are these black lacquer, hand-painted, Chinese nesting tables? Perfect to add a splash of Asian decor to your living room! 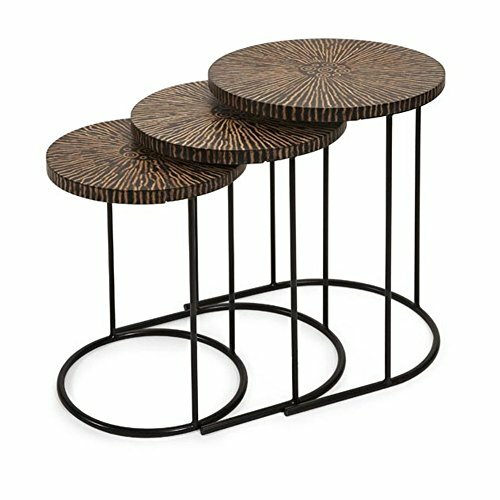 If you were looking for cool and fun metal base nesting tables for sale, I think these might be the ones for you! How gorgeous are the colorful slate mosaic accents? They are going to love your cute nesting tables! 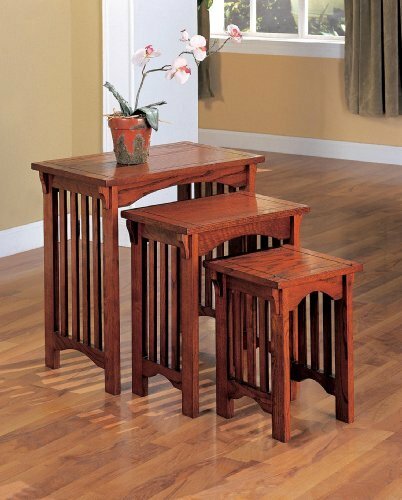 Hello, fellow cool furniture lovers looking for a cute nesting table set for sale! 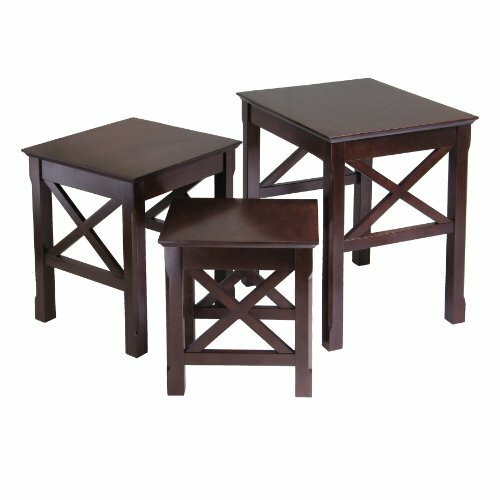 Three awesome and extremely unique nesting tables coming right up! How creative are they? Handmade using only natural materials! These have got to be the most creative and most unique round nesting tables ever! They are handmade from coconut shells! 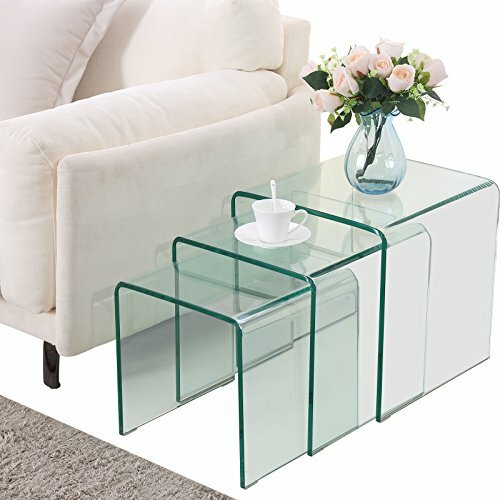 And I will end my selections of cute and small nesting tables for sale on this page today with these cool and definitely fun glass nesting tables! 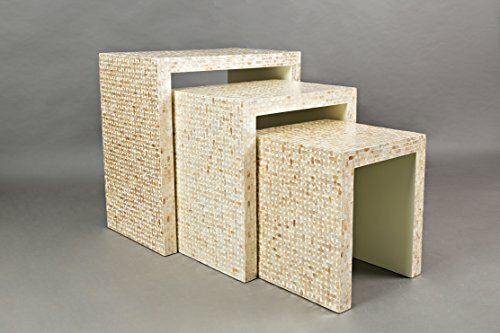 They are very modern looking and perfect for any small living space! Stylish Oval Shaped Glass Top Coffee Tables! Beautiful Coffee Tables that Lift Up! Nice Cocktail Tables with Stools!